Champion Shave, founded in 2016, has its own production and packaging factories and has sold more than 10 Million units to thousands of vendors across 17 countries and is expanding rapidly in a $47 billion dollar industry. 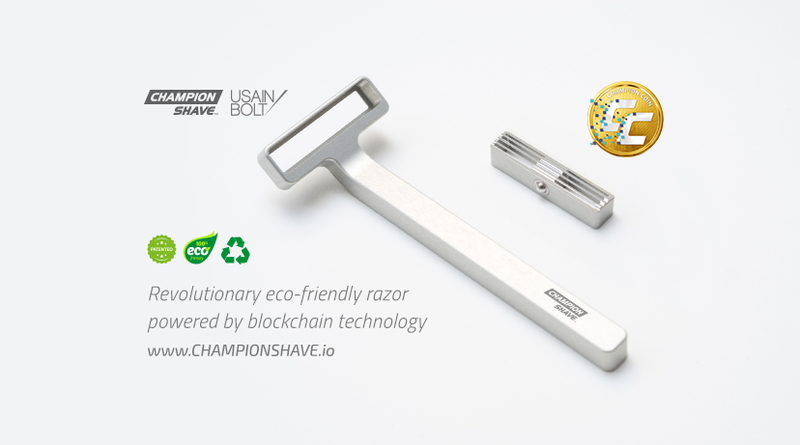 A global pioneer ready to clean up the environment by placing their 100% eco-friendly razor on the blockchain and implementing a recycling program where customers are rewarded for returning their used blades for recycling. Tracking the process from A to Z. Join the revolution with its innovative B2B E-Franchise Network and B2C Loyalty Rewards Platform run on Champion Coin powered by Blockchain. Team up with Usain Bolt, Ronaldinho, and Dominque Wilkins as Champion Shave embraces Blockchain Technology to become a world leader. Champion Shave is implementing Blockchain Technology into their supply chain management system and launching the world's first men's grooming e-commerce franchising system powered solely by its own cryptocurrency, offering franchisees a zero franchise fee initiative for our e-commerce platform. The official Pre-ICO will launch October 31st 2018. Champion Shave is firmly established in the international men’s grooming market. The men’s grooming industry relies on the production of toiletries, fragrances, and grooming products. The cryptocurrency for the personal care industry that will power supply chain blockchain solutions and rewards its customers with discounts and experiences designed for champions. Champion Shave is launching the world’s first men’s grooming e-commerce franchising system powered solely by its own cryptocurrency, offering franchisees a zero franchise fee initiative for our e-commerce platform. The current Champion Shave supply chain deals with six raw material suppliers in four countries and two factories in China. There are more than 500 custom stock keeping units which go through two ports and three couriers to eight major distributors. The product is then sold in 17 countries and is expanding to many more. Champion Shave’s e-franchise transaction network will be solely powered by Champion Coin. Franchisees can enjoy a zero franchise fee initiative while on the Champion Shave network. Exclusive Champion Coin rewards: Champion Coin is your key to accessing the exclusive Champion Shave catalog and orderings including, limited edition merchandise and celebrity experiences. 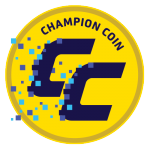 Therefore, in addition to the e-franchisees making sure that Champion Coin has constantly strong liquidity, the fact that Champion Coin is the only way to redeem rewards on the catalog ensures its unique value. The cryptocurrency for the personal care industry which facilitates cross-border transactions, supply chain blockchain solutions, and rewards its customers with discounts and experiences designed for champions. Starting off with an 80% discount on the 31st, Champion Coin's tokenomics have been audited by E&S. The large vesting periods for the team, advisors and lock up tokens shows that Champion Coin's consultants have a firm belief in the coin. With this comes the desire to let it grow and allow the full ecosystem to flourish. Participants of the Pre-ICO and ICO sale have a chance to win signed Champion Coin merchandise by athletes such as Usain Bolt, Ronaldinho, and Dominique Wilkins. Join our telegram group for a chance to win exclusive merch! 1. Add Signature and Avatar according to your profile rank. 2. 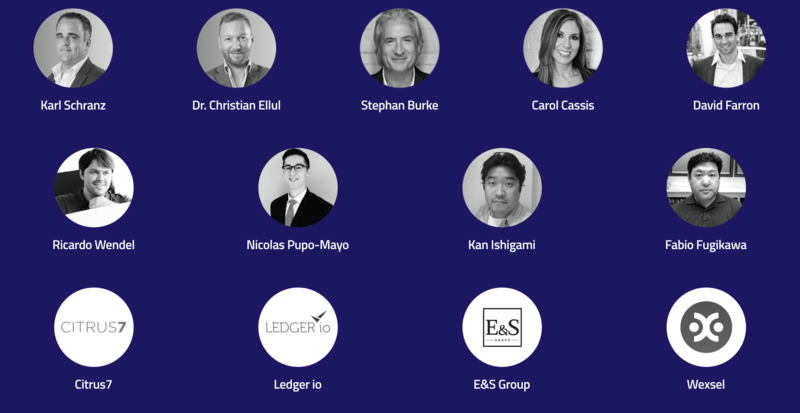 Register on the our bounty portal. The spreadsheet is automatically updated every day. Manually (spam and bad quality content) - once a week. Posts with less than 75 characters will not count as eligible. Max 15 quality posts per week will be counted. Users with negative trust are not allowed to join. Having tagged by them during the campaign period will result in no pay-out and removal from the campaign. Newbies are not allowed to Join. Do not share and like posts that are more than three weeks old (21 days). They will NOT be counted. All shared links must be set to open privacy so we can track them. The spreadsheet is automatically updated update every day (24h). Manually once a week and at the end of the campaign. Do not retweet and like tweets that are more than three weeks old (21 days). They will NOT be counted. The spreadsheet is automatically updated every day (24h). Manually once a week and at the end of the campaign. Invite - 100 CHMP / user (Must be in the group before the end of ICO. Maximum 10 friends). Activity - 100 CHMP / week (Minimum 10 quality (not "Hello","Hi",etc.) positive comments or answers to other members questions/week). Article must be freely accessible. Article must reflect our information as stated on our website. Article must at least contain 2 active link to our website and lightpaper. Plagiarism will lead to disqualification. Articles can be shared by us on our Social Media accounts. Medium, Steemit and other Free Blogs are allowed. But one person can only write 1 Article in one of these (you choose which one you use). 3 articles allowed in premium blogs and websites with .com, .net. .org etc domains and well SEO. Video with less than 200 views will not be accepted. In the description of Video you must have one link of Champion Coin, one link of lightpaper and one link of your own bitcointalk profile to proof your authorship. Your account should have at least 100 subscribers. 5. Verify your status in the spreadsheet and Join us on Telegram.